This entry was posted in Family, Parenting, Travels and tagged Algarve, Alvor, aquarium, Awareness, Conditions and Diseases, eating out, EGID, family, Food, health issues, holidays, Lisbon, love, making memories, memories, Oceanário de Lisboa, parenting, Portugal, Science Museum Lisbon, Special Diets, stress free travelling, summer, summer holiday, trains, travel, travelling, travelling. Portugal on September 12, 2016 by bluesingingdragon. One of the attractions that M was keen to visit was the Oceanário de Lisboa, opened in 1998 as part of the last twentieth century World exhibition and which is the largest indoor aquarium in Europe. Having explored Old Lisbon on our first day, we were all happy to change pace a little and eventually made our way there via the beautiful Praça do Comércio and a necessary decision to hail a Tuk-Tuk, when our hop-on, hop-off bus couldn’t be spotted except as a dim mirage in the distance. By the time we arrived the main queue was dishearteningly long, but thanks to the helpful advice of our friendly Tuk-Tuk driver, we instead joined the one for the ticketing machines and found ourselves moving through it fairly rapidly and were into the aquarium itself within little more than 30 minutes of our arrival. We were directed to begin our visit with the temporary display before we cannily stopped for a relatively early lunch, which meant we managed to dodge any lengthy waits in the cafeteria. Both children were eager to head into the main and permanent exhibit, lured by the promise of manta rays and rainforests and we spent a glorious afternoon there. This was a truly amazing exhibit that took us on a 2-level tour around the world and around the incredibly impressive huge tank that formed the centrepiece of the aquarium. This tank was filled with all manner of fish and could be easily viewed from just about every angle as we made our way around the building. G and M spent their time photographing or filming what they could see, racing between displays and tanks, and excitedly sharing the tidbits of information they had picked up along the way. From penguins to puffins, jellyfish to sunfish and sea otters to sharks, the kids got to see them all and were totally fascinated the entire time we were there. Our second child-friendly stop was spotted as we left the Oceanário and meandered our way in the glorious sunshine to where we had been reliably informed we could catch that ever-elusive tour bus back to the main centre. M had actually already identified it as a possible place of interest, but it wasn’t until breakfast time of our final morning that we decided to pay it a visit. After an unsuccessful lengthy wait for the renowned Tram 28, Mike, the children and I decided to abandon the rest of our group as they continued to queue for it and instead headed off to the Pavilhão do Conhecimento or Knowledge Pavillion. We have previously had great experiences visiting other interactive science museums such as the Science Museum London, @Bristol and the Ontario Science Centre in Toronto and G and M have loved every moment of them. I was confident that we would have similar success in Lisbon and couldn’t wait to see what experiments and activities were on offer there. It was absolutely another day that was more than well worth the very reasonable entrance fee and we explored every inch of the place thoroughly. We started downstairs in the Viral exhibition, which looked at what contagion is and how it works, not just from a bacteria point of view, but also looking at the current spread of the social media trend. G and M loved the interactive displays from capturing and identifying different germs to seeing if watching others yawn can cause you to do the same , as well as whether they could incite a virtual audience to copy their clapping, dance moves and Mexican wave. We paused for a quick lunch, which included a plate of rice for M and some gluten-free chips for G in the on-site restaurant before heading upstairs to tackle everything else the museum had to offer. M was particularly enthralled by the prospect of riding a bike across a high-wire suspended above the main floor of the building and successfully rode there and back, though G was a little more cautious and couldn’t quite brave it. Our afternoon was packed full of activity for us all and I was especially appreciative of the strategically placed armchairs spotted throughout the exhibits for those of us who didn’t want to be on the go the whole time! We filled the time we had there and managed to do most of the exhibits, though not quite all of them. It was a fun afternoon for the whole family and I wouldn’t hesitate to take G and M back if we had the chance. This entry was posted in Family, Reviews, Travels and tagged aquarium, family, gluten-free, interactive, Lisbon, M-friendly, Oceanário de Lisboa, parenting, Pavilhão do Conhecimento, Portugal, Praça do Comércio, restaurant, Science museum, Science Museum Lisbon, Social media, stress free travelling, summer, summer holiday, travel, travelling. Portugal, Tuk Tuk, viral on September 5, 2016 by bluesingingdragon. This summer we travelled once again to Portugal for a week of sun, sand and sangria. On our 2 previous holidays, Mum and I filled our suitcases, not just with the necessary sun-cream, hats, swimwear and shorts, but also with a supply of M-friendly foods to get us through the week relatively unscathed. I’ve previously always taken a more relaxed stance to M’s diet whilst away from home as it’s a great deal harder to ensure that his diet is as strictly adhered to as it is at home and we have coped with the resulting consequences, accepting it as our decision. However, we decided that this year had to be different. M’s struggles over the last few months with his health have been well-documented on my blog and the accompanying emotional frustrations and challenging behaviour meant that I felt we needed to endeavour to follow his diet as much as we humanly could. This, of course, meant that we needed to take a lot more M-friendly foods with us – free-from spread, rice milk, cereal, bread, rice cakes and snacks to name but a few. This increased amount of food, plus all the additional medicines M is now taking – he has increased to 7 medicines daily compared to last year’s 4 and the previous year’s 0 – meant that I needed to find an alternative means of carrying it all as otherwise I’d be leaving some essential clothes behind. Fortunately, a tip from the “Special Diets” thread on the Dibb website suggested that it might be possible to carry all of M’s medical supplies including the food, as additional hand or hold luggage at no additional cost. I immediately contacted our airline, Easyjet, to see what advice they could give me. 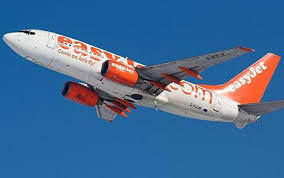 “Easyjet would like to advise you that if you need to travel with any kind of medication or medical equipment you can do so, if you provide us with a doctor’s letter at the check-in desk, confirming the name of the passenger who needs them, the amount and names of each medication, doctor’s signature and stamp. You will be allowed to travel with the medication in a separate extra piece of hand or hold luggage without any extra charge. Please remember that in the extra piece of luggage you will be allowed to put only the medical stuff and nothing else. Please also advise our Special Assistance Department about your need, so they will add this additional information to your booking to make the airport staff aware of your needs. So, I did as I was told and contacted the Special Assistance department. They put a note onto M’s flight details to advise that we would be travelling with an additional bag free of charge and reiterated that I needed a signed medical note detailing all the medicine and foods we needed to carry with us and how much was needed each day. I then spoke to our GP, who agreed to list out everything we might possibly need during our holiday. The letter was duly written, signed and paid for and we were all set for the flight. The ease of being able to take a dedicated bag just for M’s medicines and foods was a real godsend and I was impressed at how easy it was to successfully check-in with not a hassle in sight. 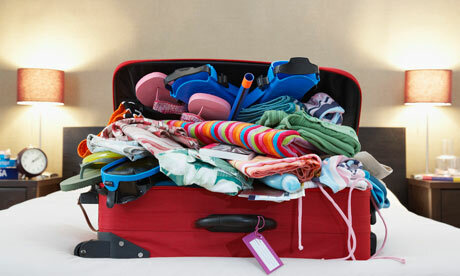 There was no question about taking the additional piece of hold luggage through and even the return journey was simple, though I would recommend also having a copy of the actual prescription with you instead of just the medical letter if at all possible. Travelling with small children is difficult at the best of times and when you add medical needs into the mix, it becomes even more of a challenge, but Easyjet lived up to its name and made our life just that little bit easier. This entry was posted in General and tagged Allergy, Conditions and Diseases, Easyjet, EGID, food allergies, health issues, holidays, ill health, stress free travelling, travelling. 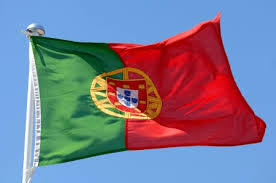 Portugal on September 2, 2013 by bluesingingdragon.